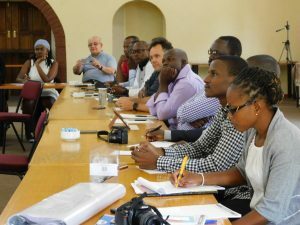 The Inter-Regional Meeting of Bishops in Southern Africa (IMBISA) hosted a Media and Communications workshop from 5-7 November 2018 at the Lumko Centre in Benoni, South Africa. 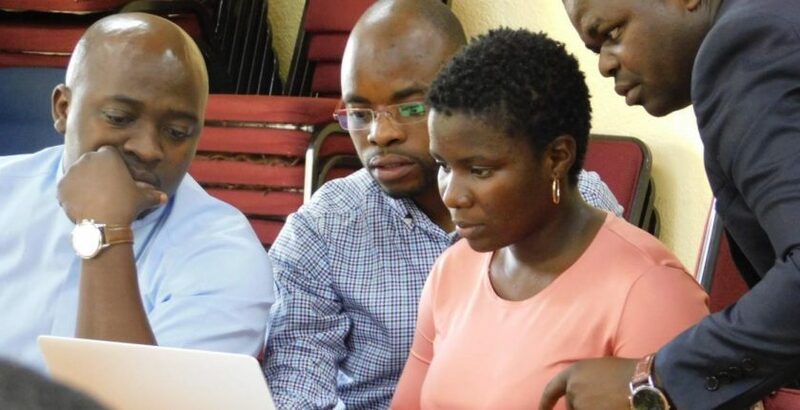 The workshop gathered 33 participants chosen from the nine member countries represented by IMBISA: Angola, Botswana, eSwatini, Lesotho, Mozambique, Namibia, São Tomé e Príncipe, South Africa and Zimbabwe. 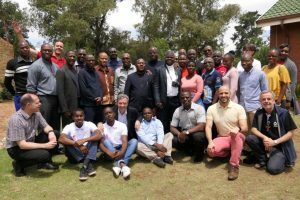 Made possible through the support of the United States Conference of Catholic Bishops, CREC International and the Jesuit Institute South Africa, the workshop was the first of its kind for IMBISA. 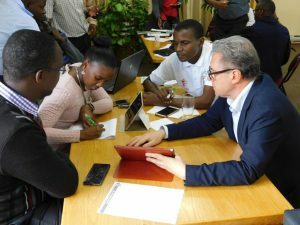 The initiative seeks to develop and significantly improve the quality of communication for IMBISA in sub-Saharan Africa. Among the participants were lay women and men, ordained priests and a bishop. 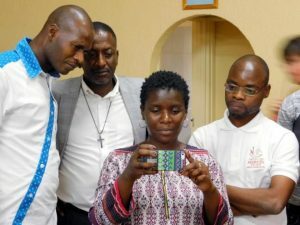 Most were involved in some way with communications and media efforts in their respective dioceses but had never received professional training for this highly-skilled work. It was this realisation that prompted the discussion between the interested partners last year. Four trainers were on hand with a breadth of local and international experience to facilitate the three-day learning experience. Seàn-Patrick Lovett, head of English programming for Vatican Media in Rome for the past 41 years, a seasoned journalist and communications expert initiated the training. With an abundance of energy and confidence Lovett asked participants whether they were “comfortable”. Having conducted such an exercise before, he knew what the answer would be. Naturally participants eagerly responded with a predictable “Yes”. But, that was the wrong answer. “We can never be comfortable or at rest”, remarked Lovett. A communications professional must always be prepared for the unexpected because that’s their job. To report when it’s least expected and to capture the shot that nobody else sees. With this he invited participants to “become uncomfortable”. At the end of the three days most of the participants reported that they had grown incr easingly uncomfortable, if in retrospect extremely grateful. The trainers had unexpectedly turned the tables on them and on what they might have expected from such a workshop. The workshop offered some theoretical input but was mainly focused on equipping those attending with hands- on skills. It shifted their mindsets to respond with far greater creativity, agility and willingness than had probably ever been demanded from them. At the end of the day all gathered in the converted newsroom to present their content and submit it to the critical eye of fellow reporters and the critical ear, eye and pen of the editors. Much to participants surprise, sub-par work was met with strong criticism. They were not let off easy and were encouraged to get back to work. Participants worked late into the night revising and in some cases having to entirely rethink and redo their initial work, taking on board the advice of their colleagues and the training professionals. The following days kept the demanding rhythm. Tim Harris, a South African and professional designer introduced participants to sound web design principles, taught them how to take good photographs using their mobile phones taking into consideration the many variables involved and inspiring them to take risks and be more creative.